One of Morgan's favorite toddler foods is chicken nuggets (and Mommy's too). This chicken tender recipe (via Saveur) from Mitzi's in Winnipeg, Canada will be a hit for all ages. 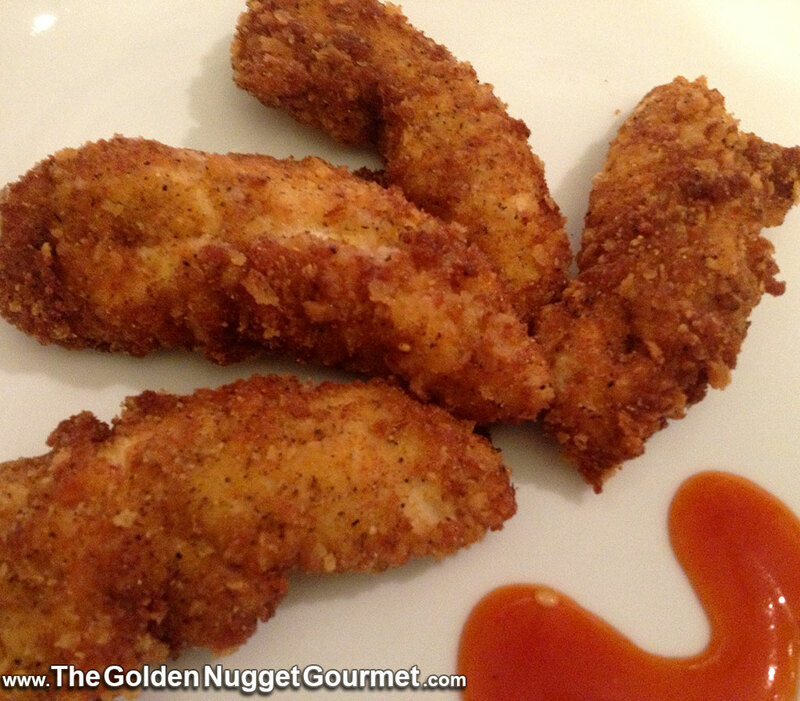 I love the flavor of these tenders and found that these will turn out fantastic whether fried or baked. Scott enjoyed using the leftovers for a quick and easy buffalo chicken wrap the next day. I did not try their honey mustard recipe but instead used World Harbors Maui Mountain Sweet-n-Sour Sauce. GNG Tips: Not into frying? You can bake them at 475 degrees on a baking rack (in the lower third of your oven) for approximately 15 minutes. If you don't have a baking rack use a cookie sheet and flip tenders over half way through cooking time. I have found that there are enough breadcrumbs for several batches of chicken fingers so only pour a portion of the mix in a bowl, add as needed, and store the unused breadcrumb in a Ziploc bag for future use. This morning I was able to whip up fresh chicken tenders for Morgan and Scott's lunch because I had the leftover crumbs ready to go. Seriously, I woke up at 7 a.m. and their lunch was ready by 7:20 a.m.!